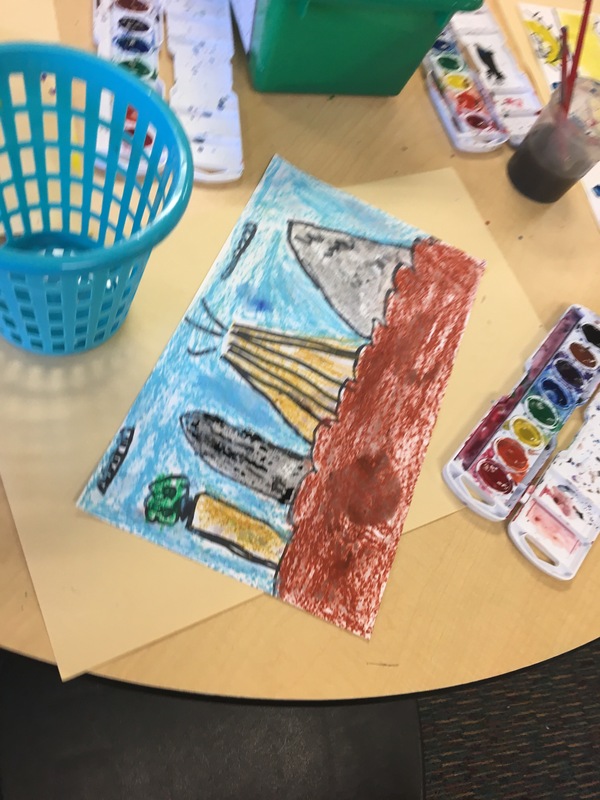 Mrs. Hickman’s class had a turn sorting out bottle caps for the 10th anniversary mural project. 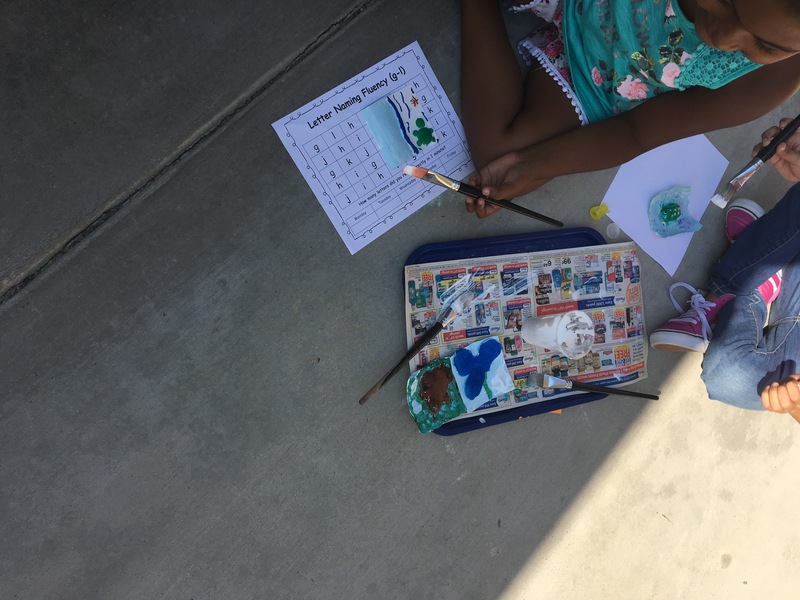 They had a great time sorting by color. 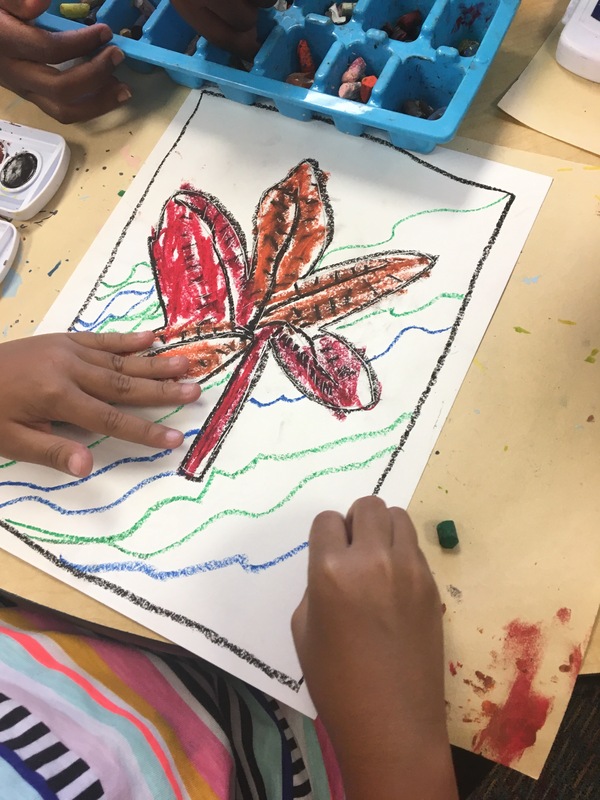 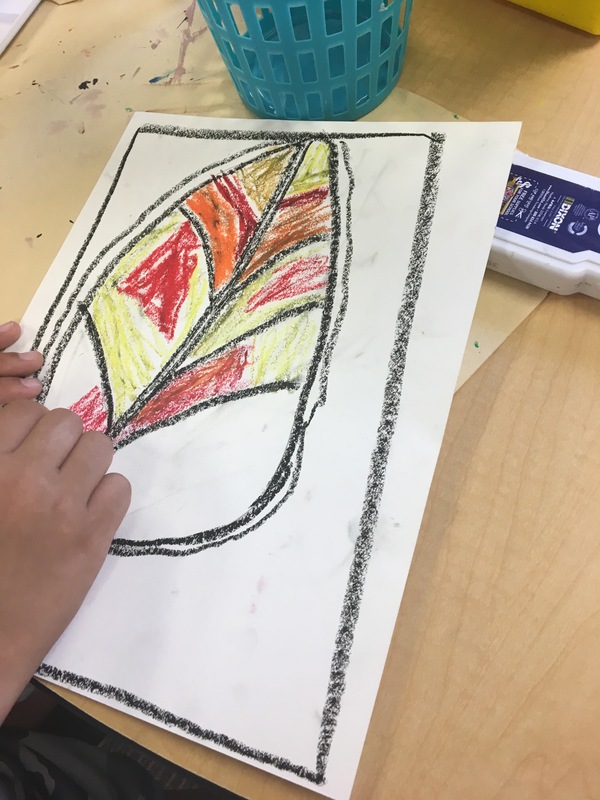 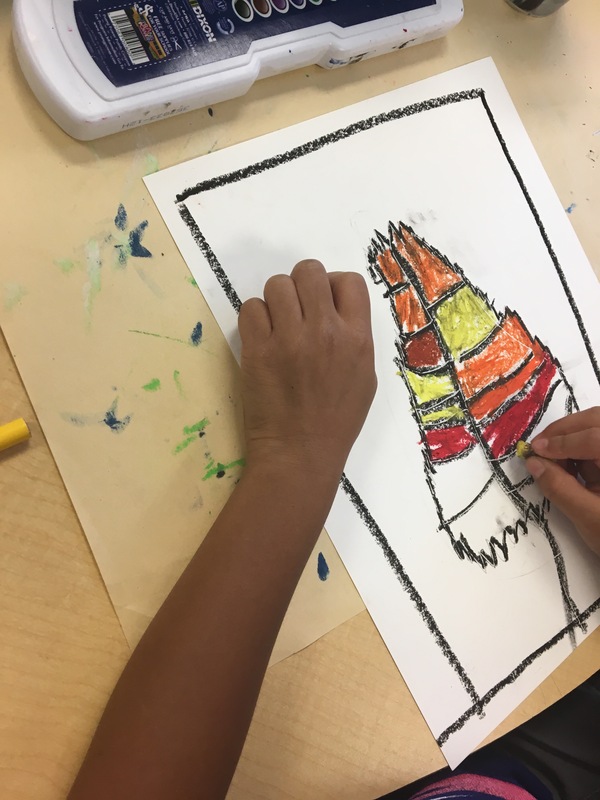 Mrs. Yalamanchi’s class and Mrs. Snyder’s class finished working on their line monsters and created Autumn trees using foil and tempera paint. 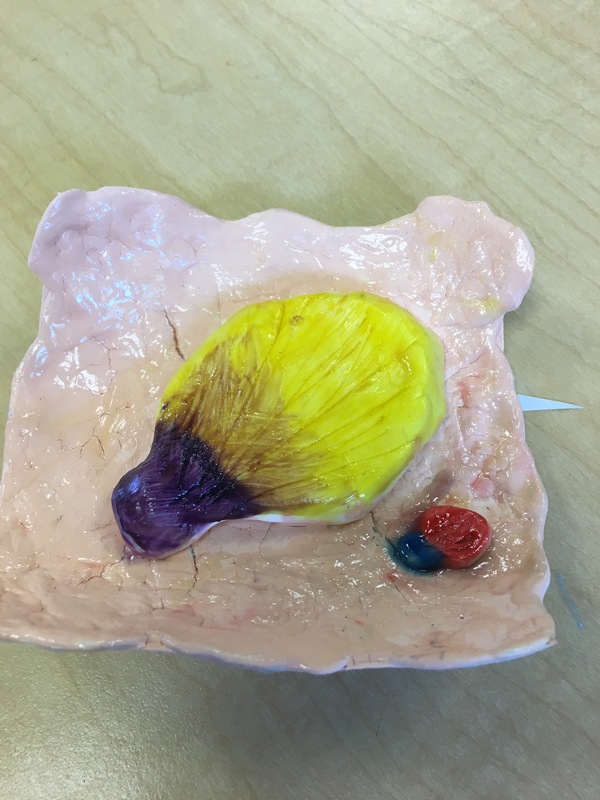 (See project description from last week’s blog post). 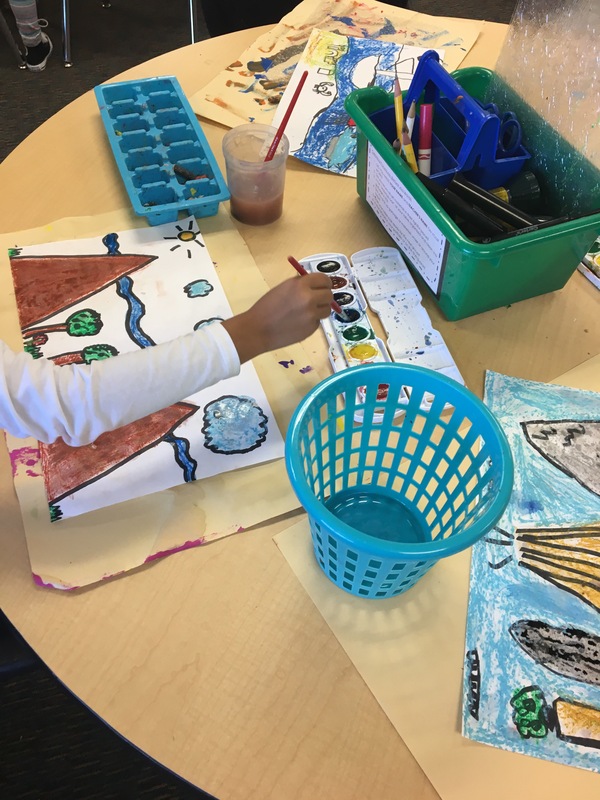 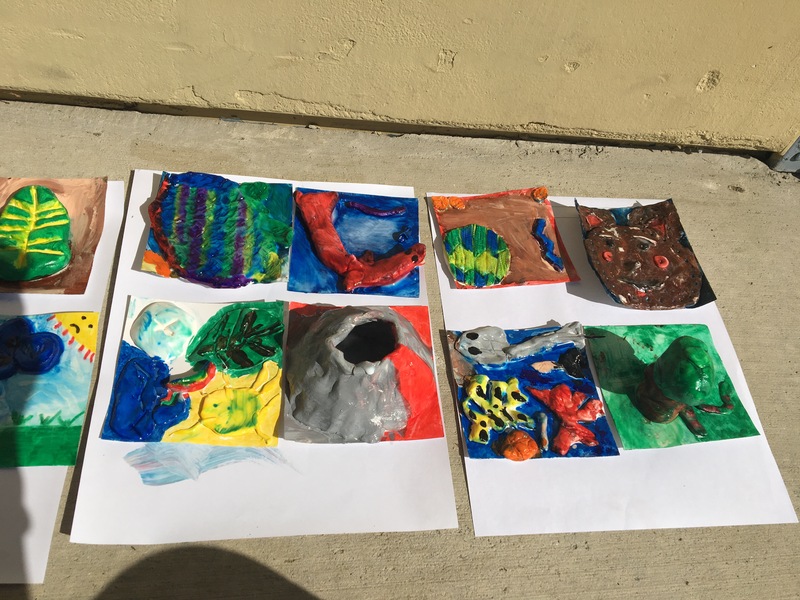 First grade: The students finished their landscape projects this week by painting it with watercolors. 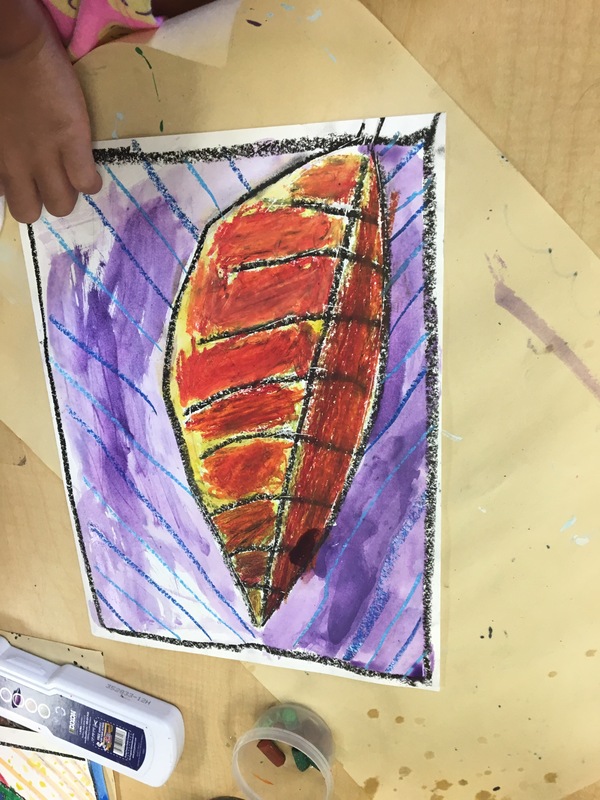 The students observed the resisting of the oil pastels with the watercolors. 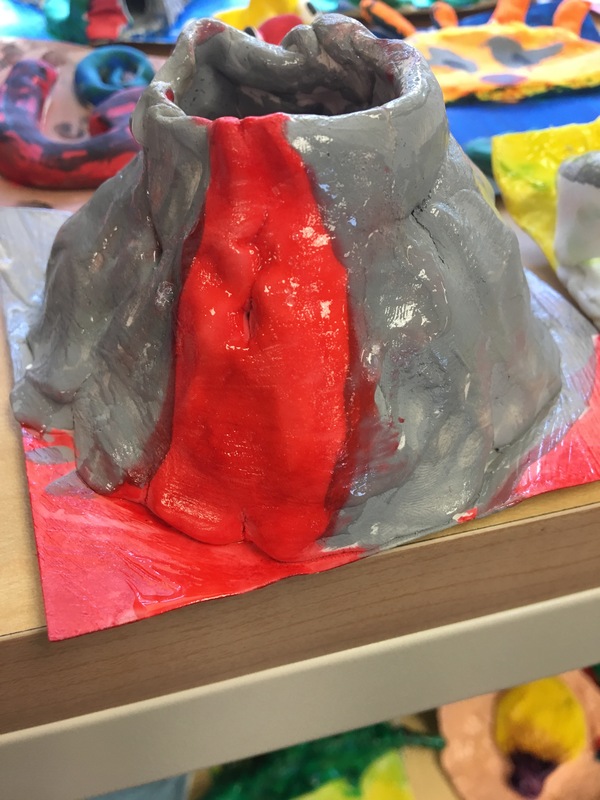 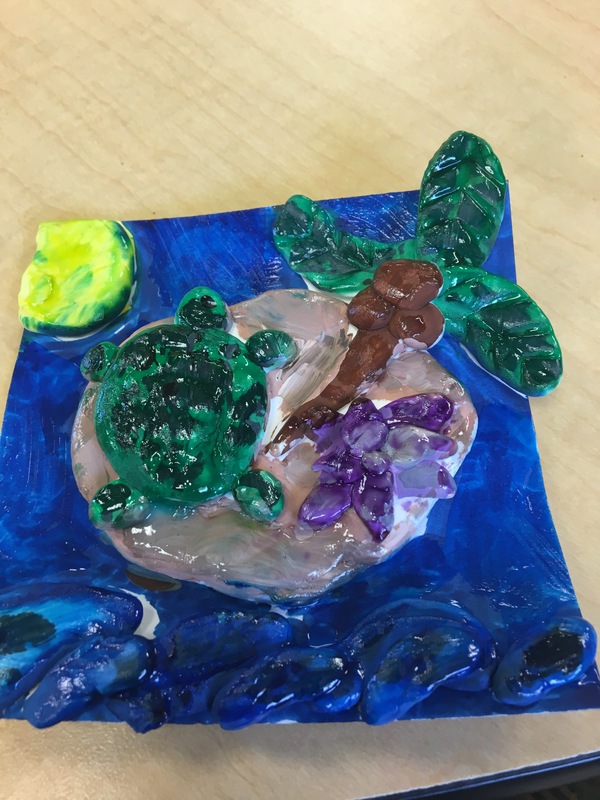 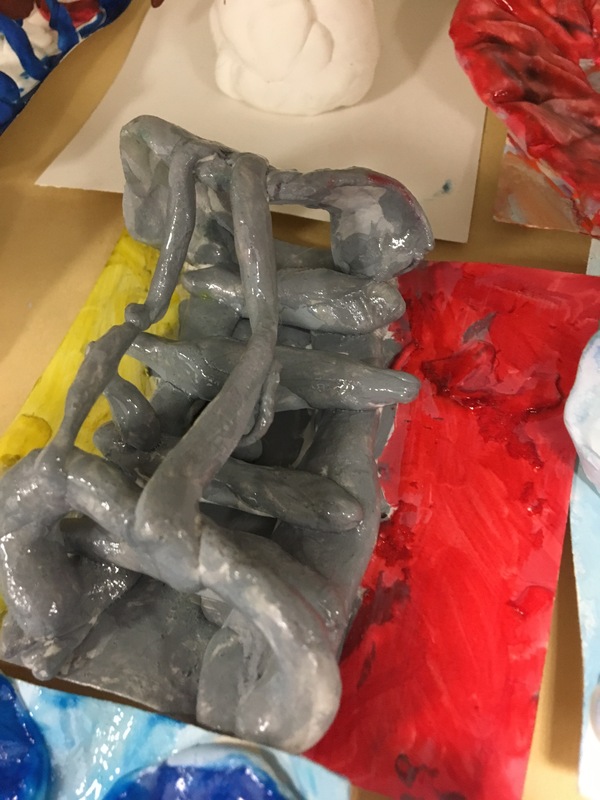 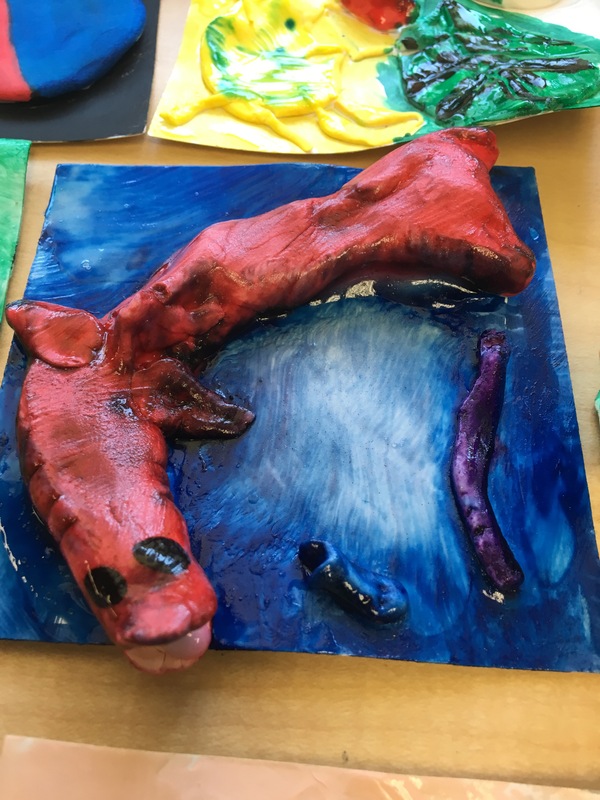 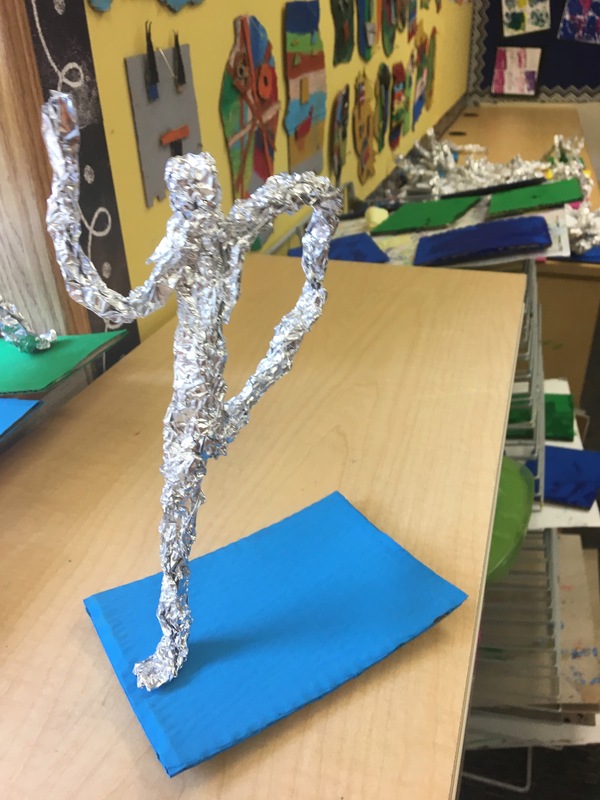 Third grade: This week was the final day for the sculpting project. 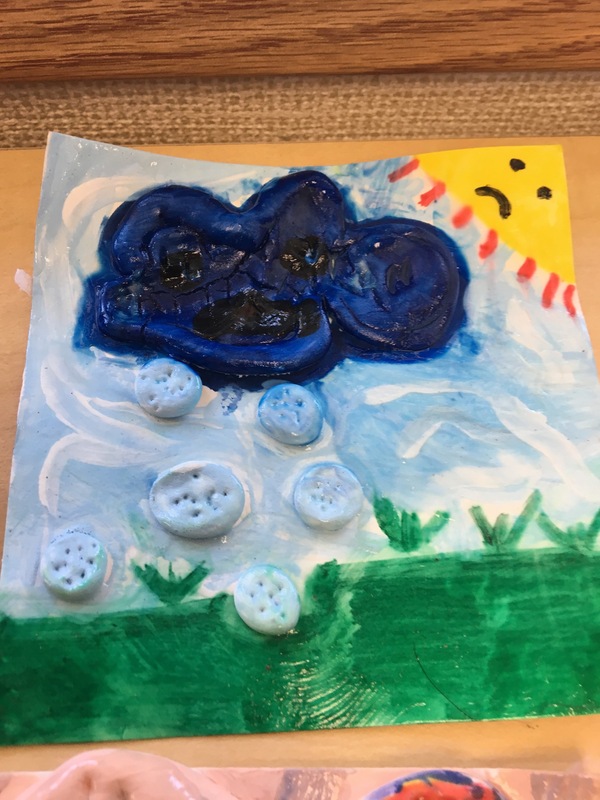 The students added a coat of Mod Podge. 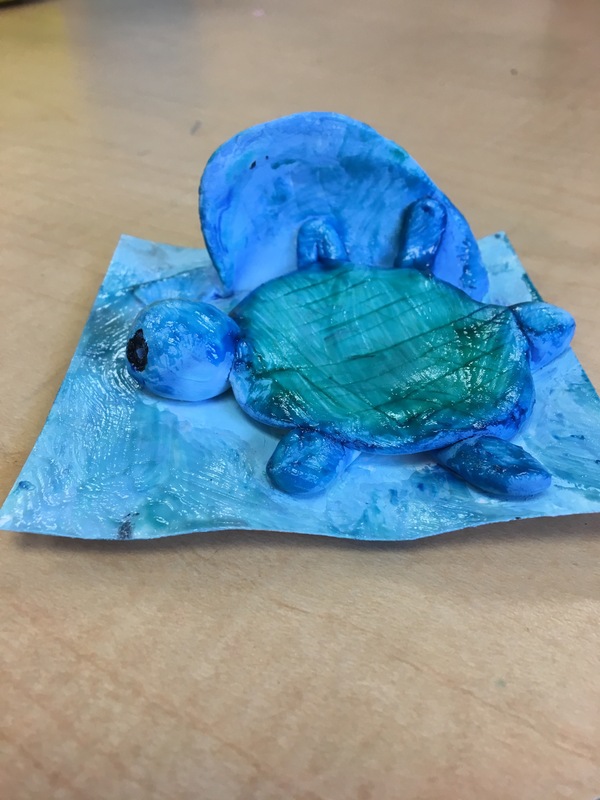 The Mod Podge gave the Model Magic Clay a nice shiny finish. 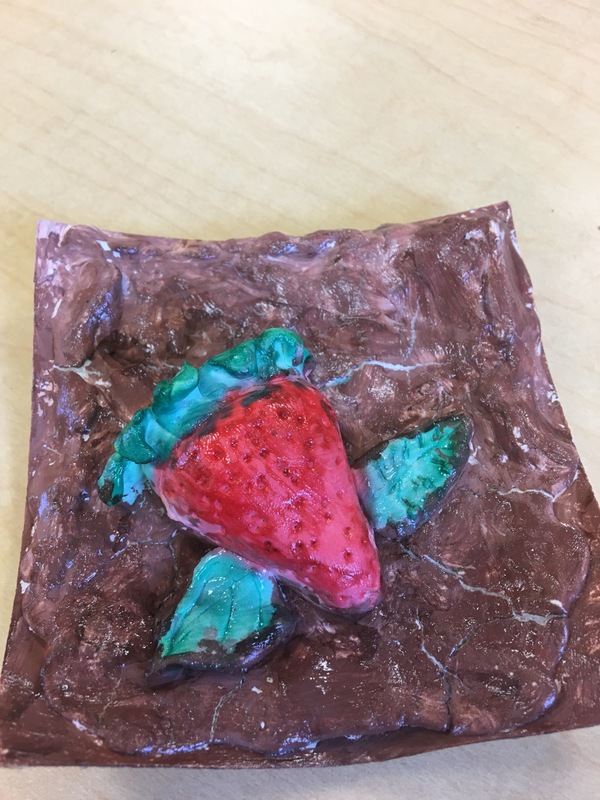 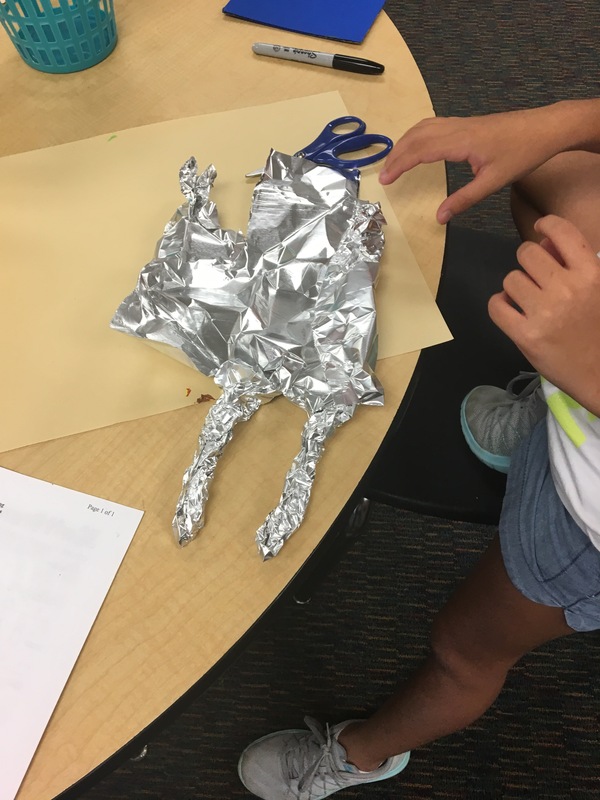 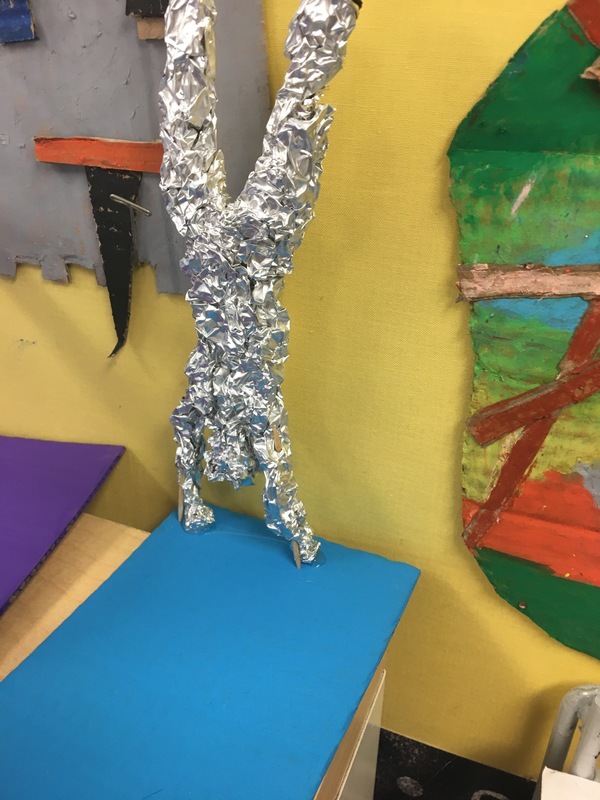 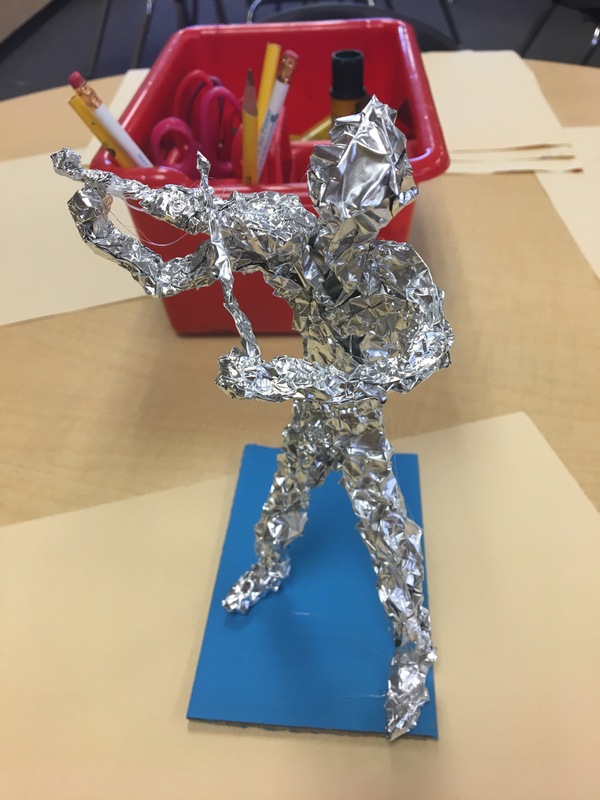 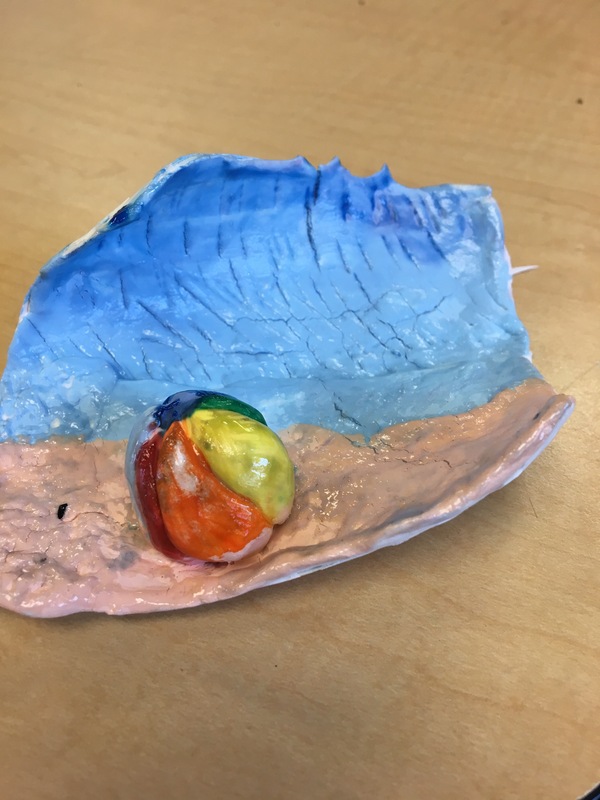 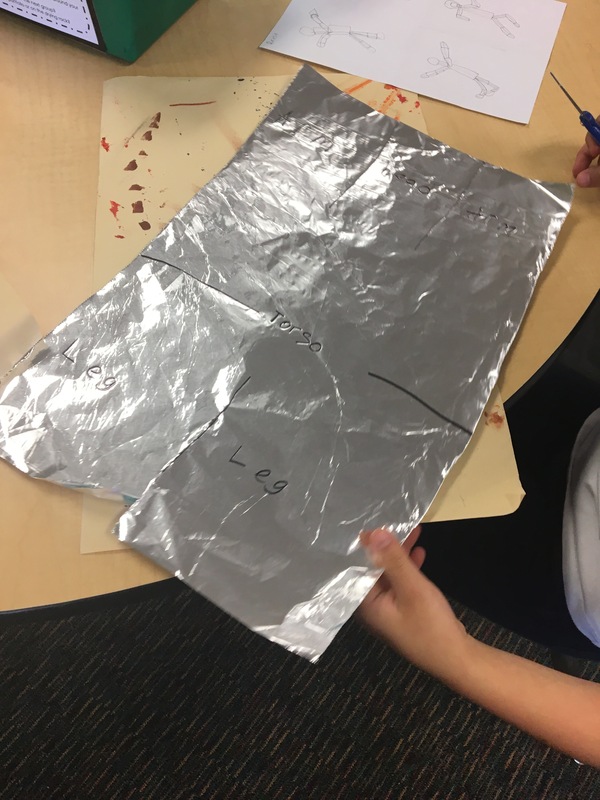 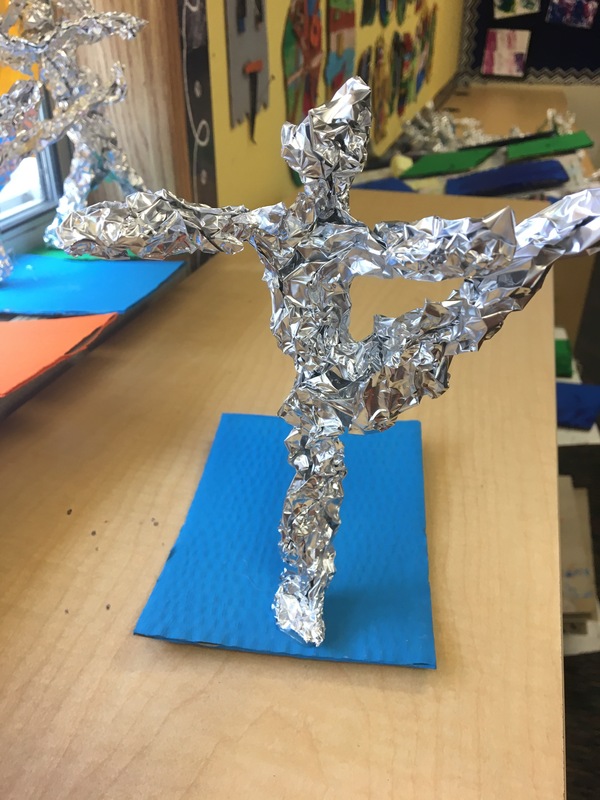 Fourth grade and Mrs. Simmons’ class: The students created their foil sculptures this week. 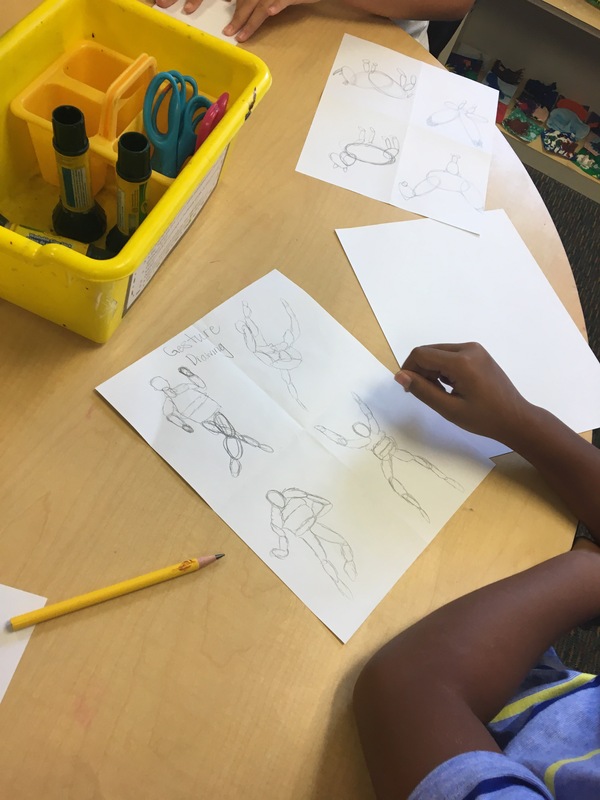 They selected one of the figures they drew last week for their sculpture. 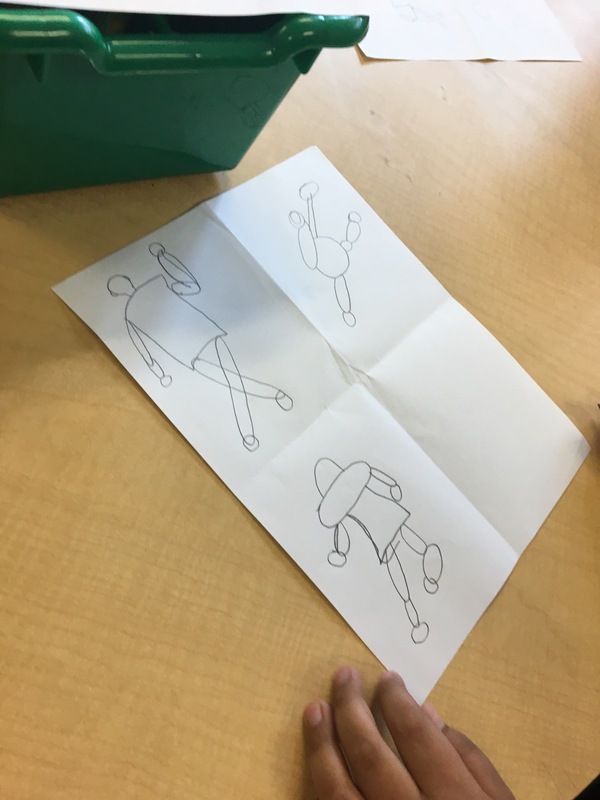 Next week the students will draw a shadow. 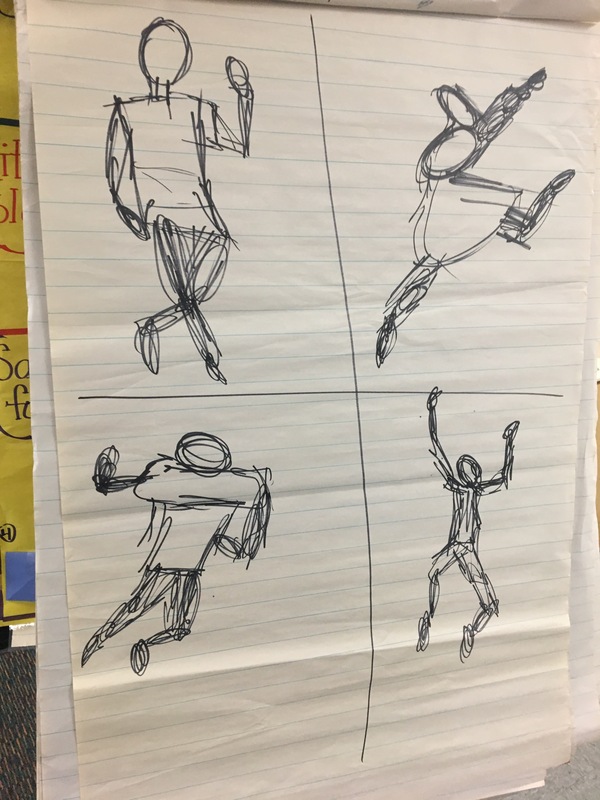 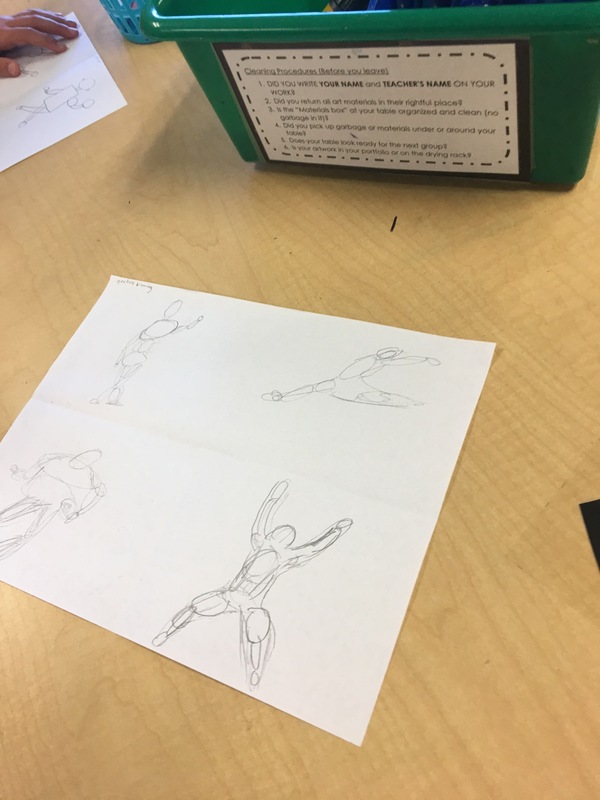 Fifth grade: The 5th graders learned the skill of gesture drawing. 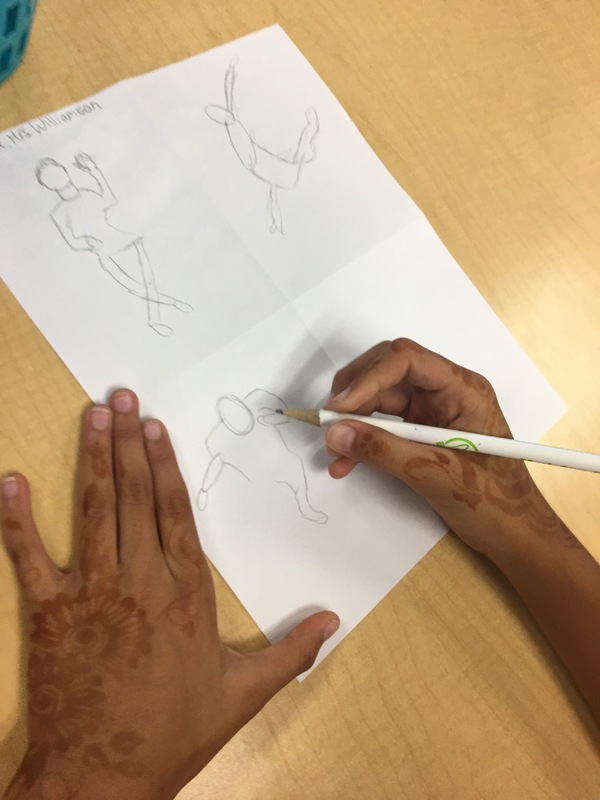 We compared and contrasted the differences between contour drawing and gesture drawing. 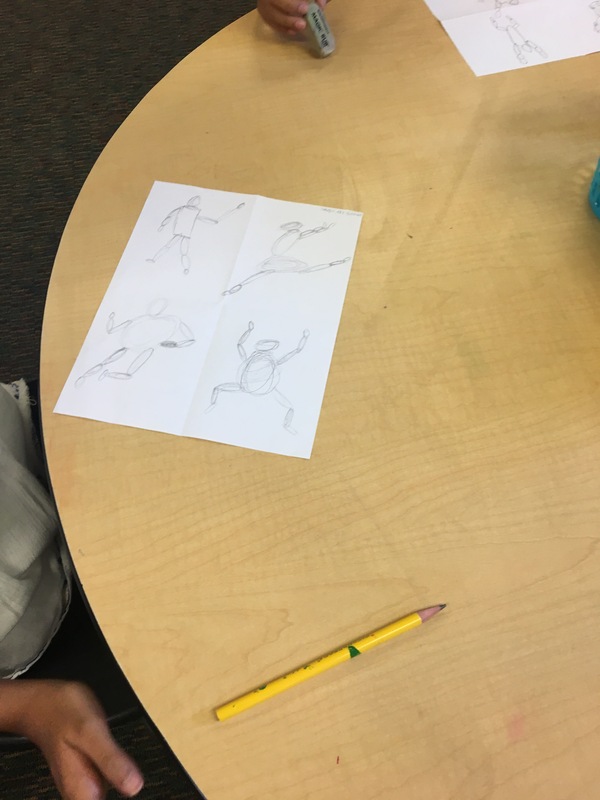 The students practiced this skill by drawing people and animals. 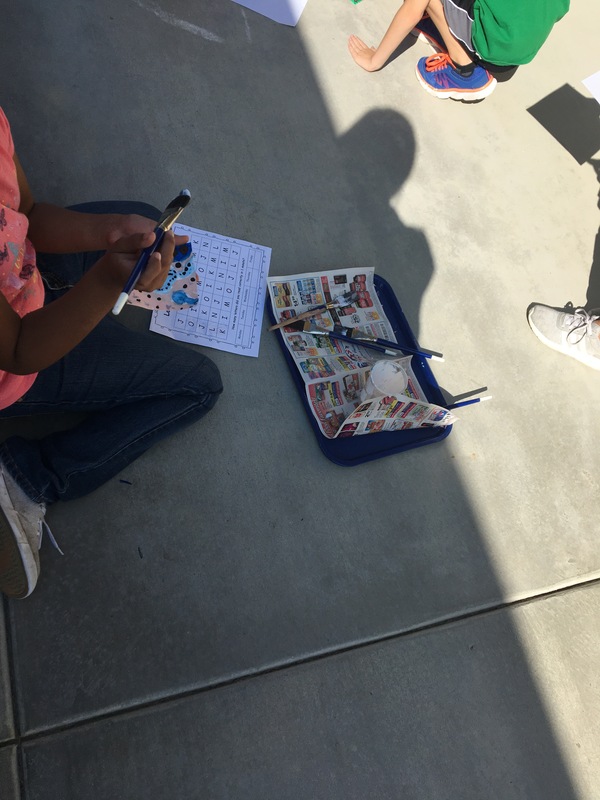 Thank you Mt’s. 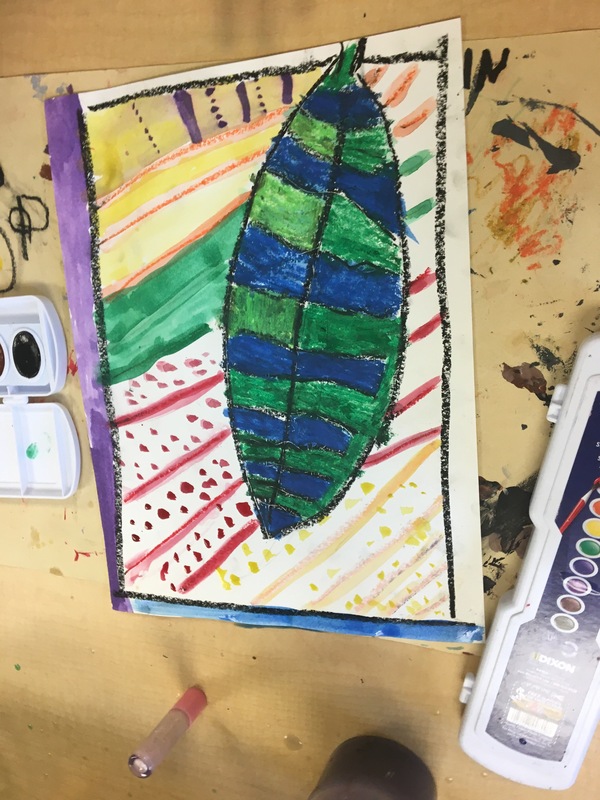 Adamos for what my daughter calls “the best class ever”!